Vita Boot Camp is an energizing boot camp retreat that will push you to the limit but have you smiling the entire way. Enjoy a balanced blend of challenging beach workouts, body toning and strengthening as well as relaxing mind body classes to round out your experience. Vita Boot Camp (formerly Bella Boot Camp) is the perfect way to get you back on track or push your body to the next level. Whether you join us to enjoy a challenging fitness vacation at the beach or to shed a few pounds, we’re here to help you on your journey. 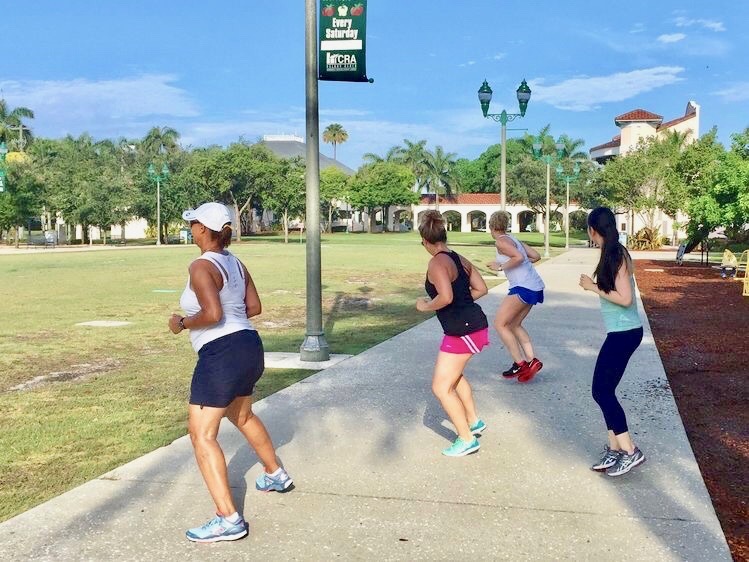 Where Classes Are Held: Classes are held outdoors on our beautiful beaches, at local parks as well as on site in our private indoor studio. Vita Boot Camp is exclusively limited to 10 people each week. Women and men of varying fitness levels. Modifications offered for all fitness levels. *For those that have never exercised before, a private retreat may be a better fit. *Times may vary depending on the day. I felt stronger all around, especially my upper body — probably from all of the push ups! I signed up for the 6 days and left renewed, refreshed and reenergized. Not only do you feel stronger physically by the end of it, but it is a full mind/body experience. I really enjoyed the beach workouts in the morning and the classes in the studio (yoga, pilates, salsa, barre) are also amazing as well as the instructors. *Our menu accommodates varied eating styles such as gluten free, paleo, vegan, vegetarian, etc. Updated rates are visible on registration forms. Go to Registration to view. *Double room for those traveling with another retreat guest. We do not pair people up for double occupancy. Vita Boot Camp is a total body reboot. Meet like minded people, get inspired into fitness and jumpstart your healthy habits. Book your stay at Vita Boot Camp. View rates, availability and sign up by clicking the button below.